IHG® Rewards Club - Movies - Big Top Scooby-Doo! 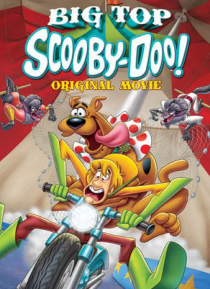 When Scooby and the gang hear of a werewolf plaguing a traveling circus, they go undercover as circus performers to get to the bottom the mystery. Things soon go from bad to worse when the number of werewolves starts increasing, and our heroes realize they might be in danger of turning into these monstrous beasts themselves!